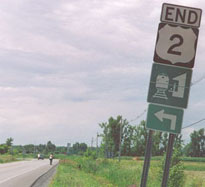 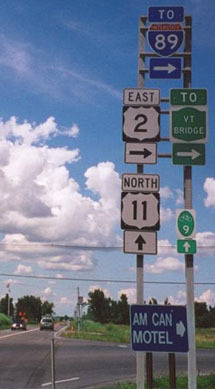 Drivers exiting there are directed south on a service road, which soon passes underneath I-87 and connects to US 9, just south of the "End" sign shown previously. 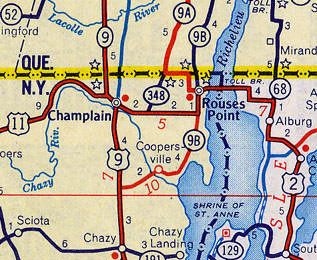 In that map series, the legend clearly differentiates US routes as red lines with blue casing, while state routes are red or blue lines with no casing. 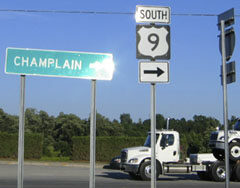 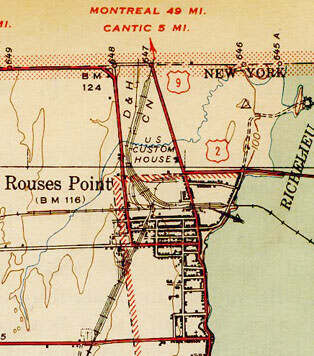 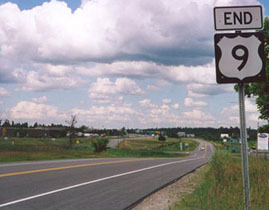 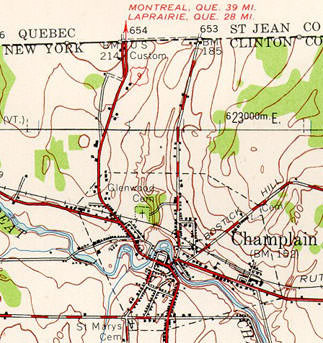 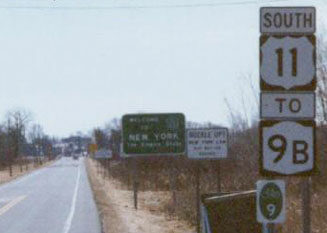 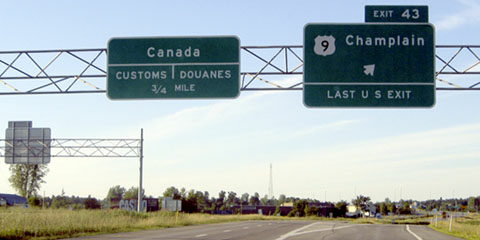 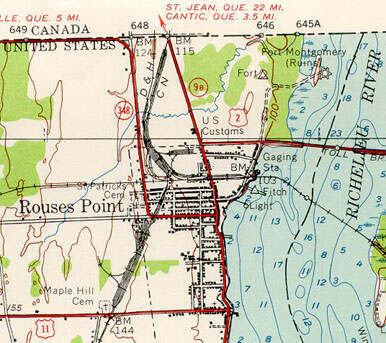 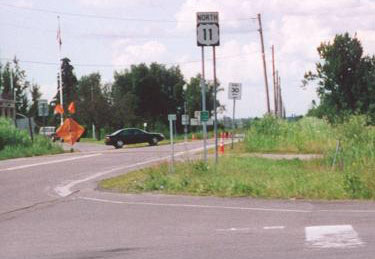 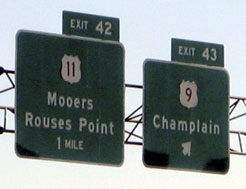 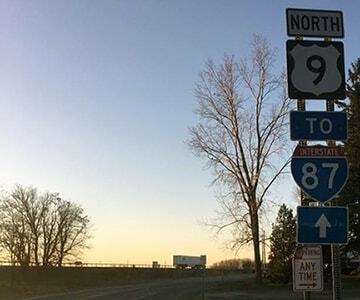 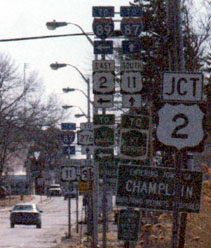 So that suggests US 2 and US 11 ended at their common junction, while it was only 9B that actually served the border crossing.